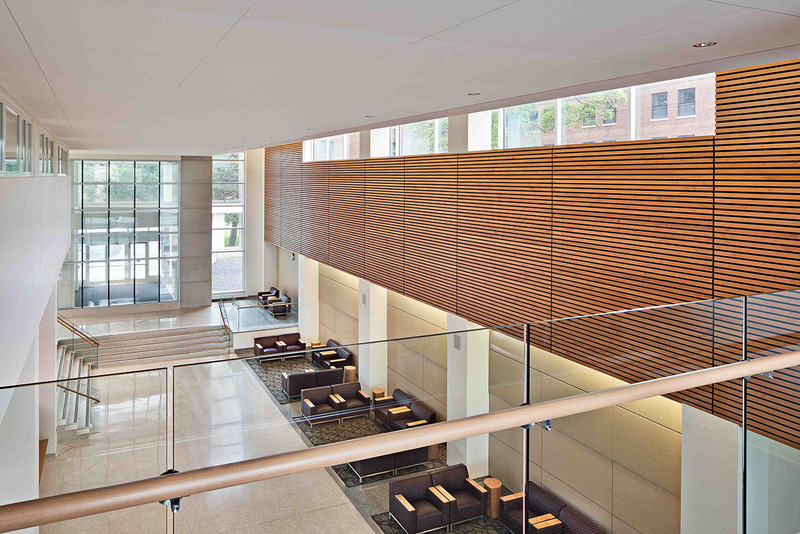 This second article in a three-part series on the University of Rochester’s Clinical and Translational Science Building addresses the strategies Francis Cauffman used to achieve LEED Gold certification. 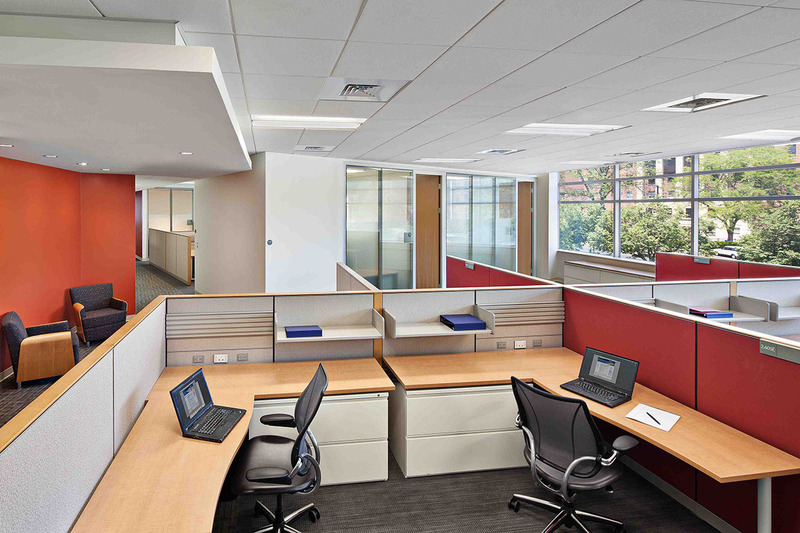 When designing the Clinical and Translational Science Building (CTSB) in Rochester, NY, Francis Cauffman was challenged with a two-fold mission: achieve high standards of sustainable design while addressing the functional requirements of 11 user groups with distinctly different objectives, day-to-day tasks, and schedules. Located on the University of Rochester campus, the CTSB (or Saunders Research Building) houses the various departments of the Clinical and Translational Science Institute. Its occupants include clinicians, researchers, and administrative personnel, all working within one building. 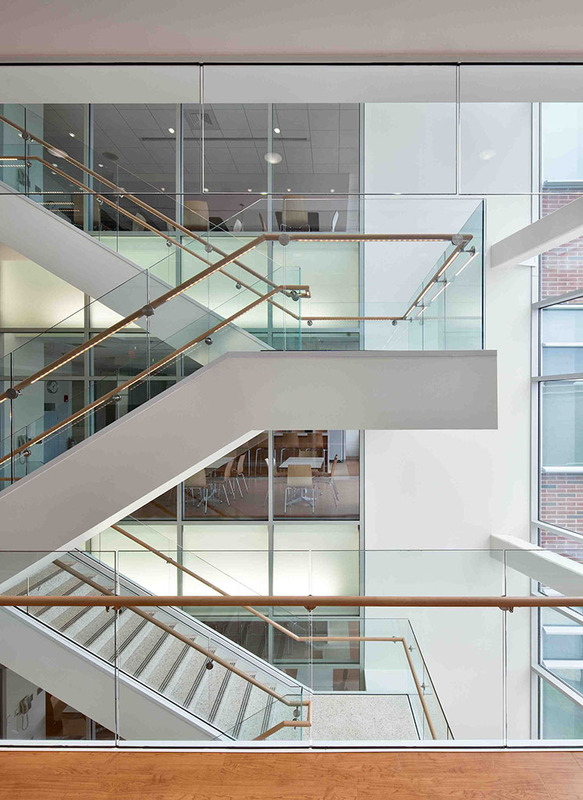 The goal of the architectural project was to create a central facility that would inherently encourage collaboration among various medical research disciplines and thus reduce the amount of time it takes to turn medical discoveries into approved treatments. In order to achieve LEED Gold certification for the CTSB, Francis Cauffman used multiple strategies: high-performance window glass; enhanced insulation in the walls; an automatic daylight harvesting system; high-efficiency mechanical equipment; a heat recovery system; local materials; FSC-certified wood; water-use reduction measures; and the purchase of renewable energy credits. Despite leaving points on the table due to the nuances of the LEED program, the team still found ways to surpass the 39 points necessary for achieving gold certification while adhering to the specific design needs of the building’s occupants. The building design utilizes a daylight harvesting system, which uses sensors mounted on the ceilings to measure daylight and dim the electrical lighting accordingly. “Lighting is such a big portion of energy usage, and in this case our overall design strategy and use of windows throughout the building gave the harvesting system a chance to work effectively,” says Conley. “Research medical facilities are not easy candidates for LEED certification as they use a lot of energy 24/7. A LEED Gold rating is a major step forward for the University of Rochester’s commitment to being green,” stated James Crispino, president of Francis Cauffman and principal-in-charge of the project, in a company press release. By focusing on sustainability from the outset of the project, the architects created a building that has proved itself in all major areas of green design.